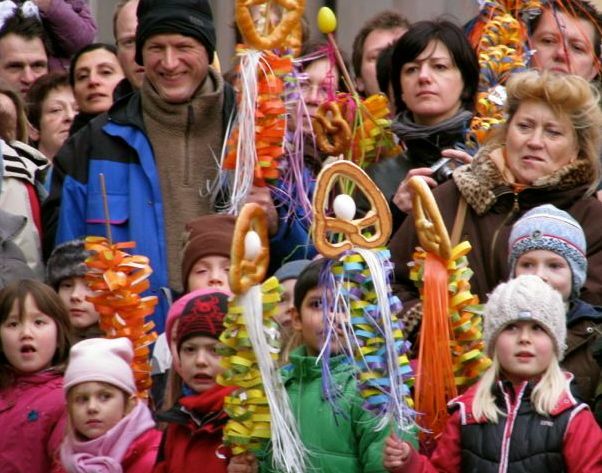 In parts of Germany three weeks before Easter, it’s customary to celebrate spring’s return with a Sommertagszug or summer procession. 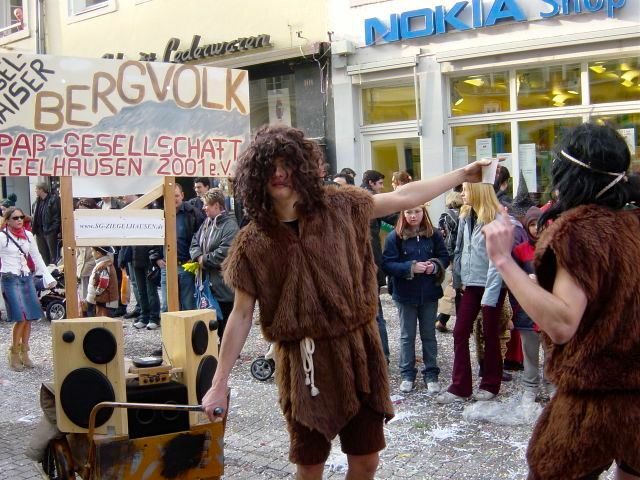 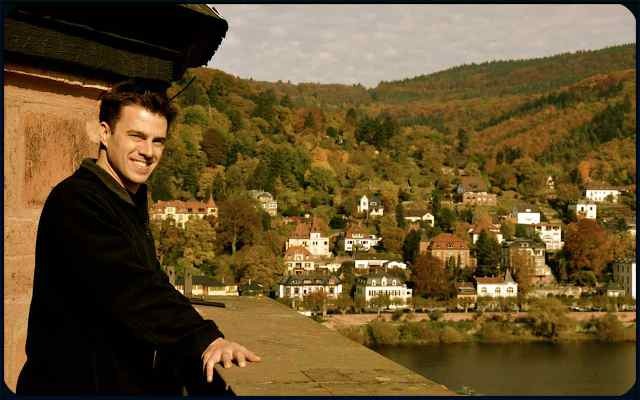 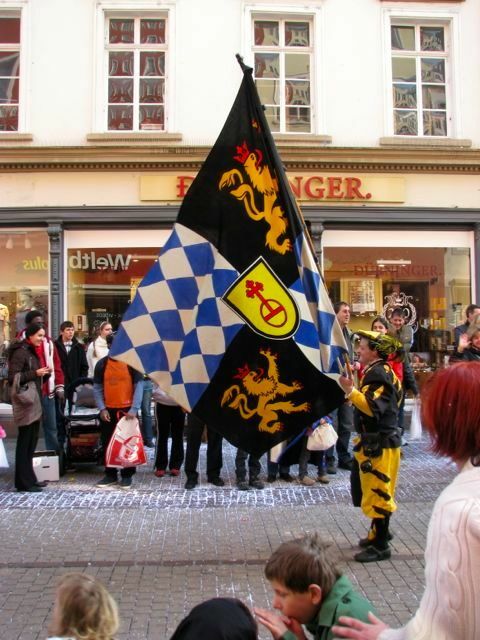 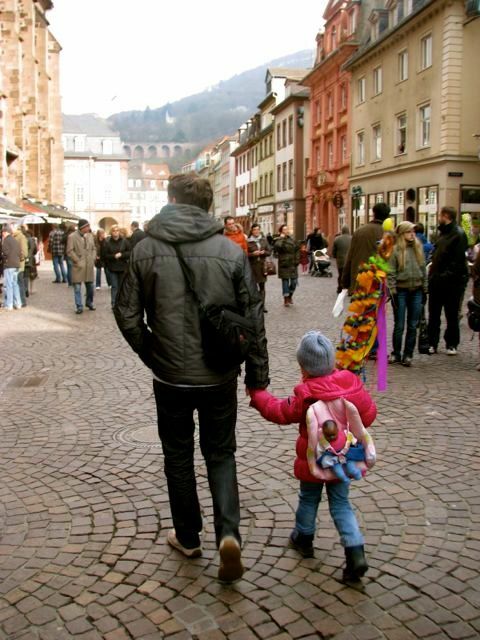 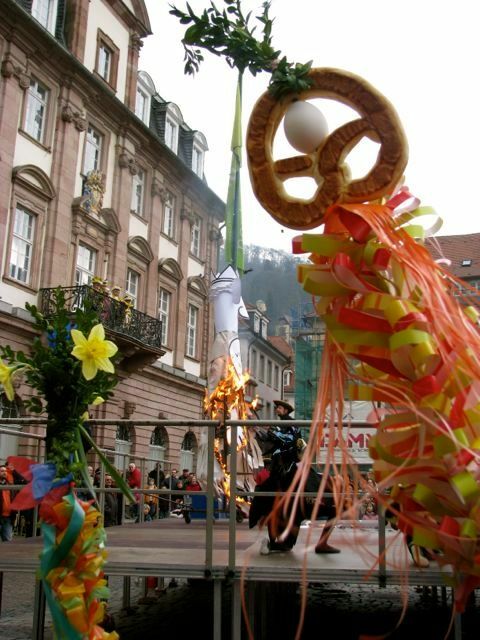 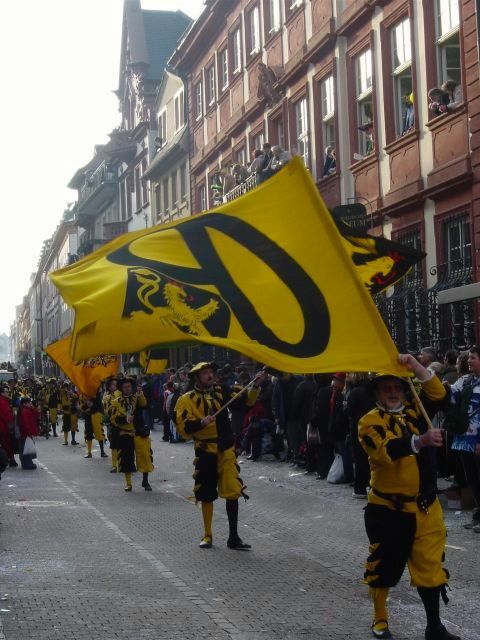 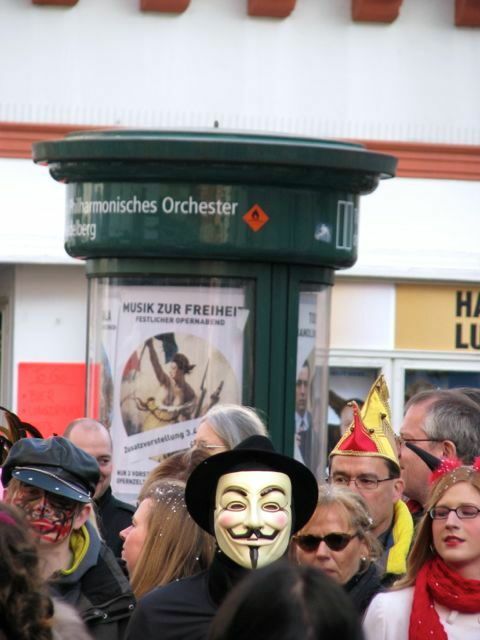 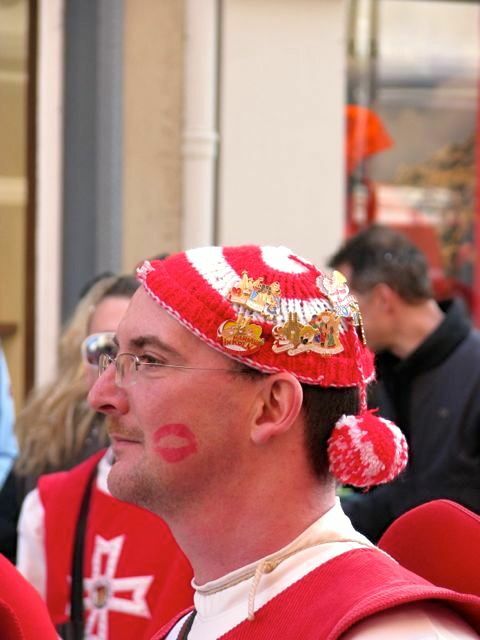 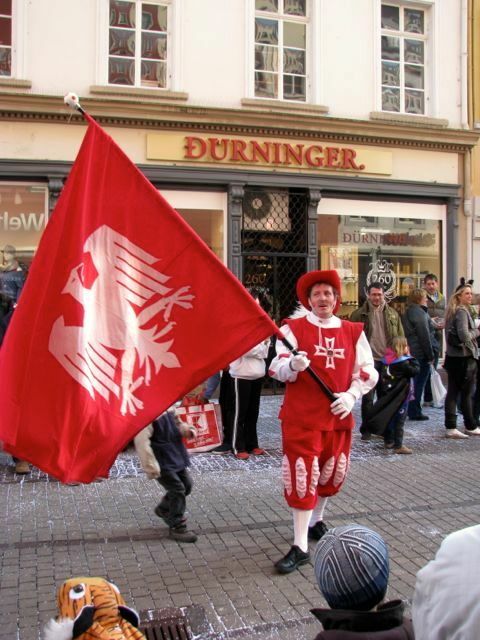 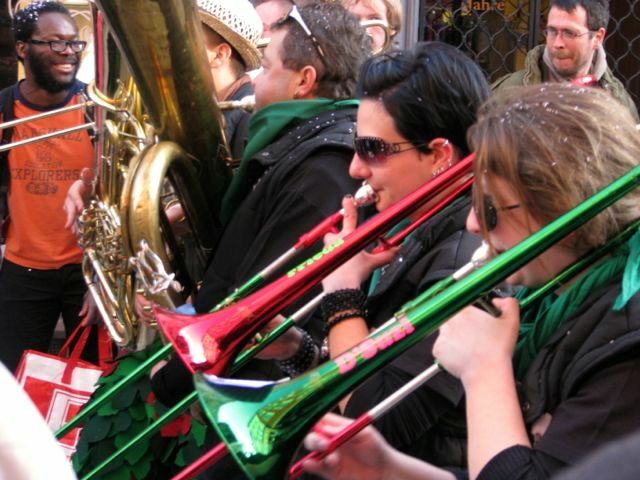 Though this year’s round of such fests was held last Sunday, for me, the 14th of March will forever be synonymous with Sommertagszugs since ‘Pi Day‘ 2010 is the date my husband and I first met and then enjoyed the Sommertagszug celebration together in Heidelberg, Germany. 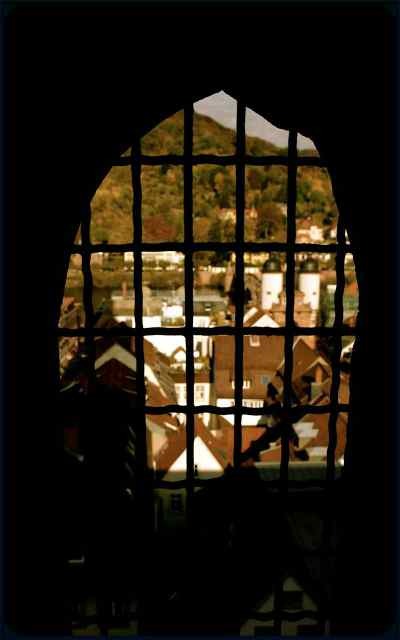 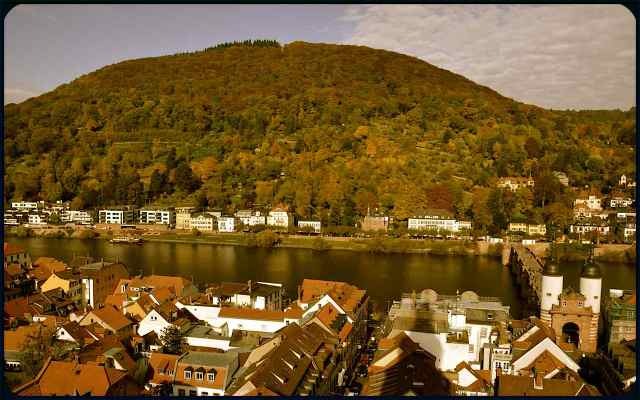 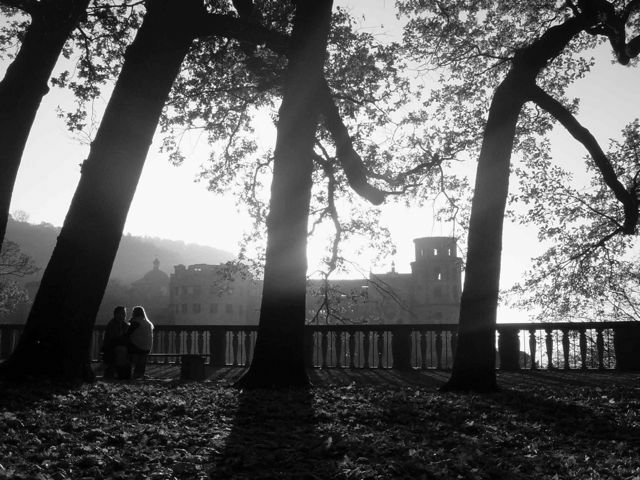 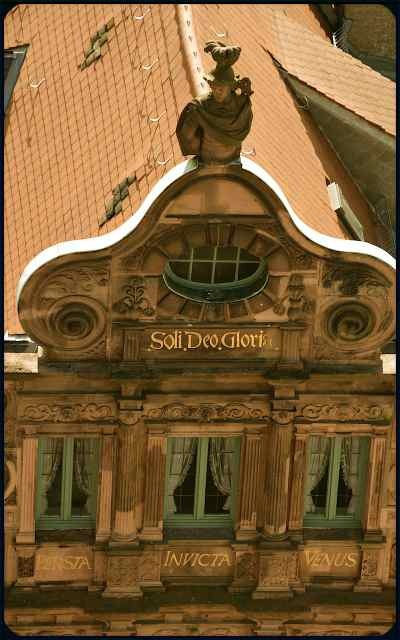 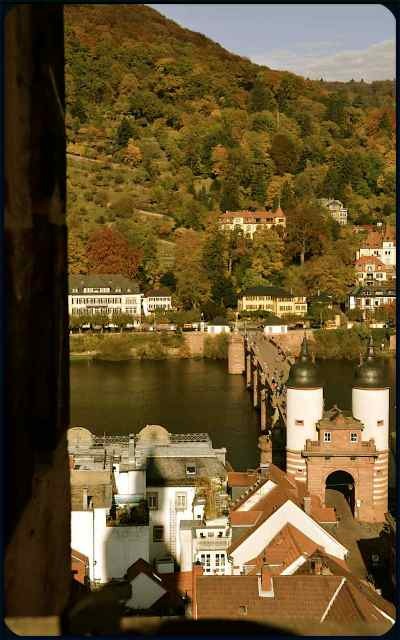 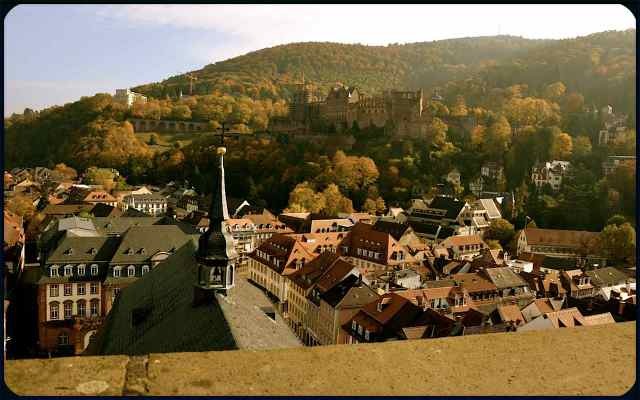 The fest has been celebrated in Heidelberg for more than 500 years. 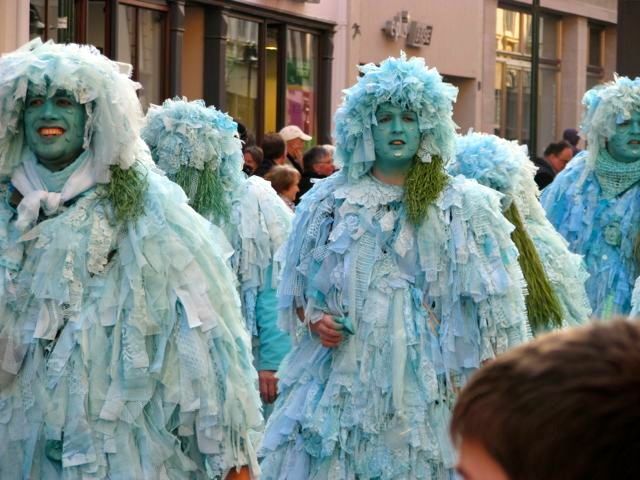 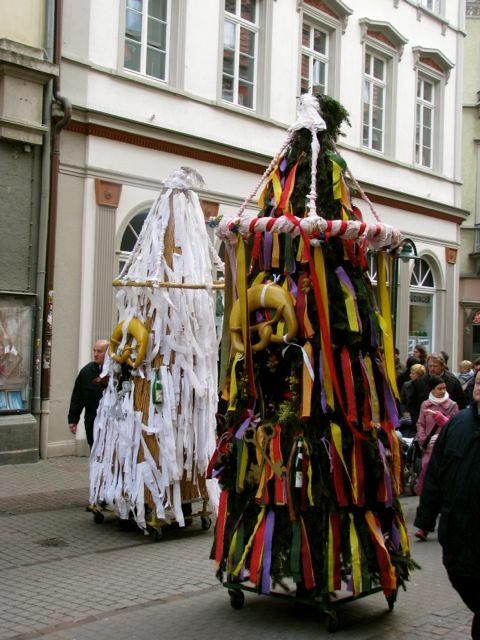 Believed to have pagan origins, the fest celebrates spring’s return and winter’s banishing. 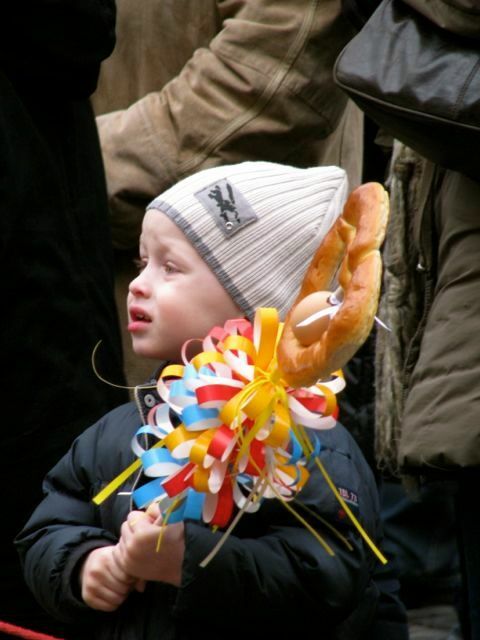 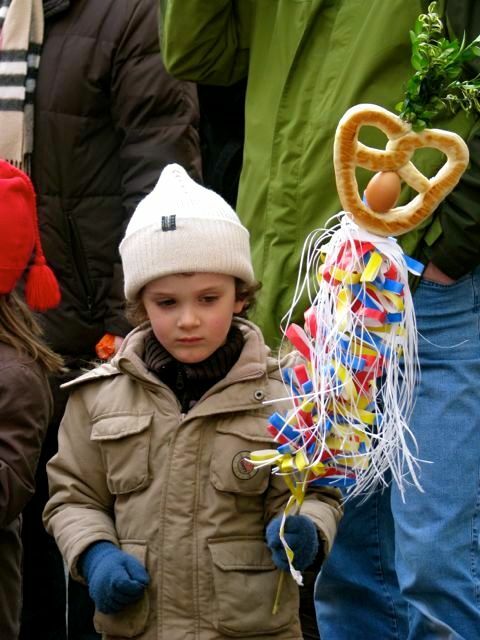 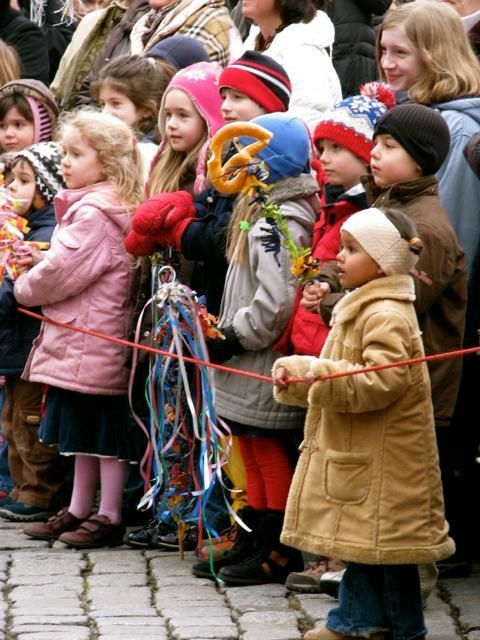 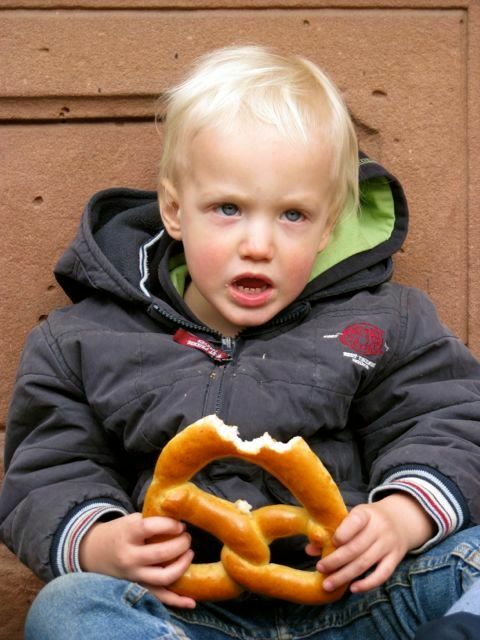 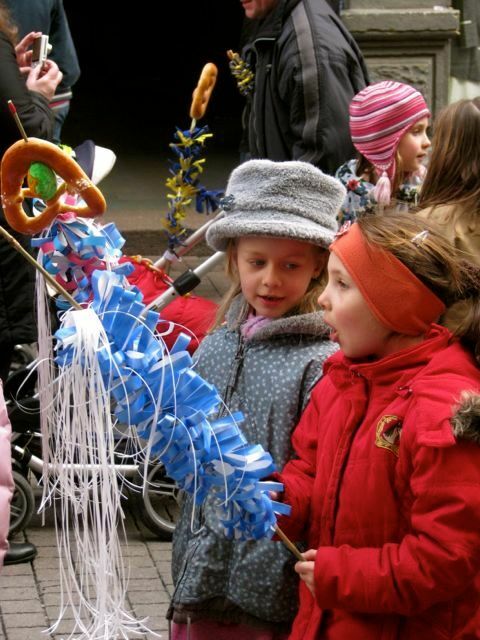 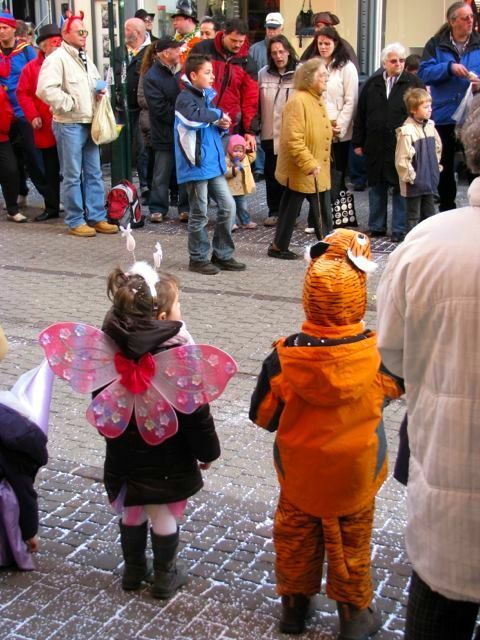 Children take to the streets with sticks adorned with colorful, ruffled ribbons, topped with pretzels and eggs. 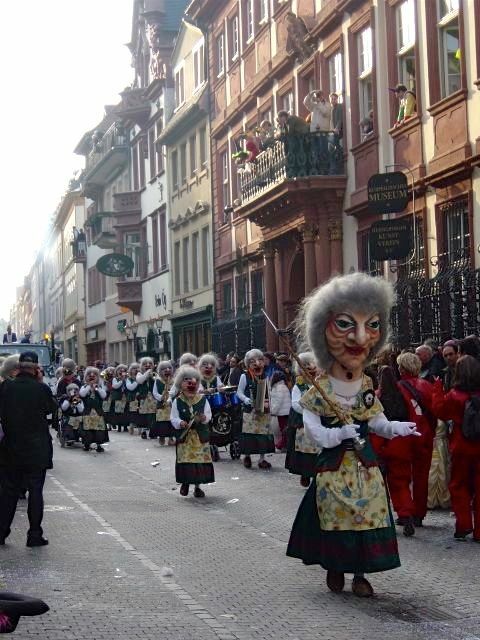 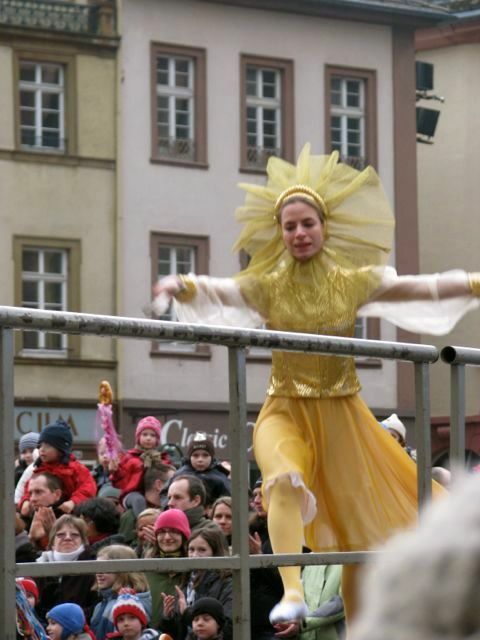 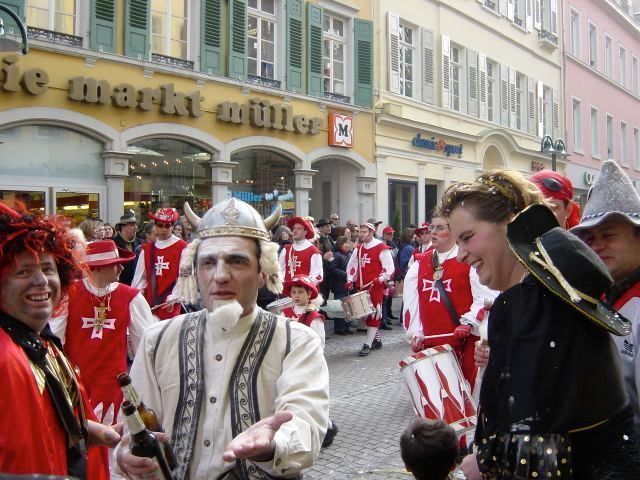 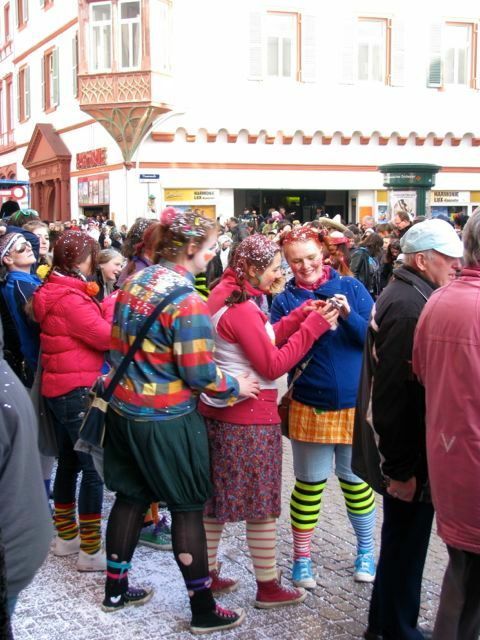 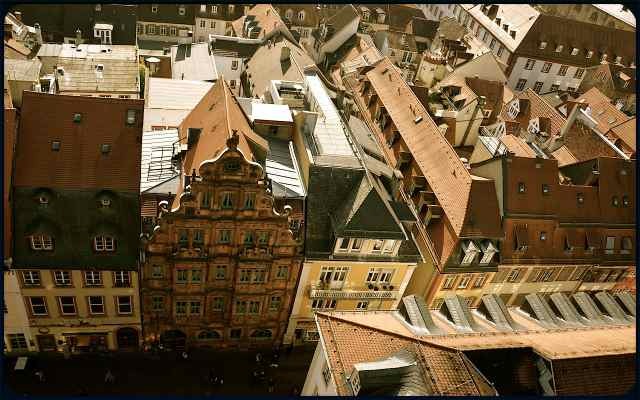 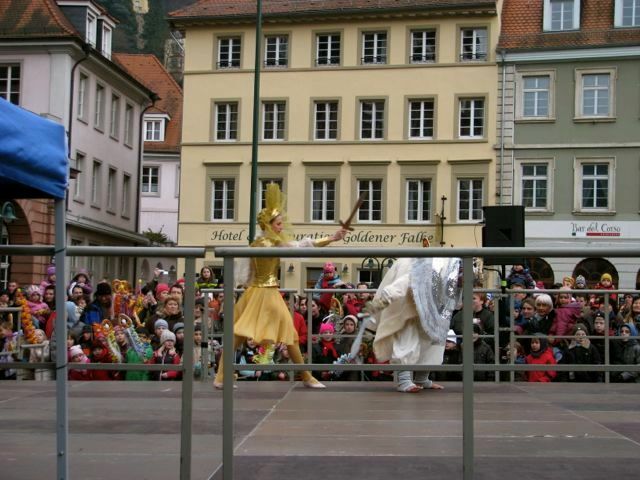 In Heidelberg, they walk along the city’s long pedestrian street, the Hauptstrasse, until they reach the Market Square (Marktplatz), where dancers (dressed as winter and spring) theatrically battle it out on stage. 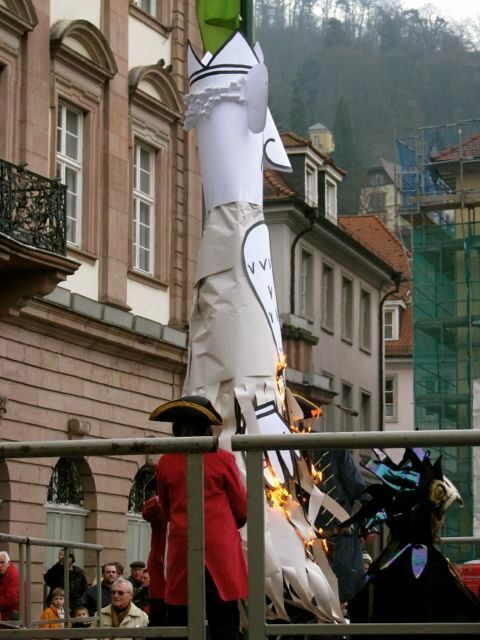 Finally, a paper effigy of winter is torched. 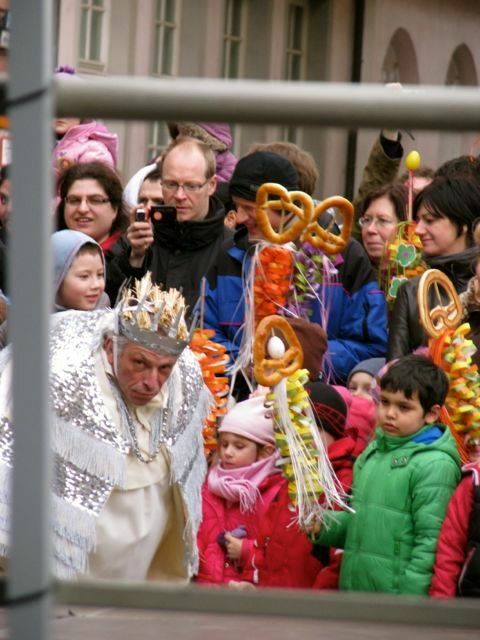 The best part of the celebration is, of course, the pretzels that are handed out to onlookers, and the realization that spring has returned. 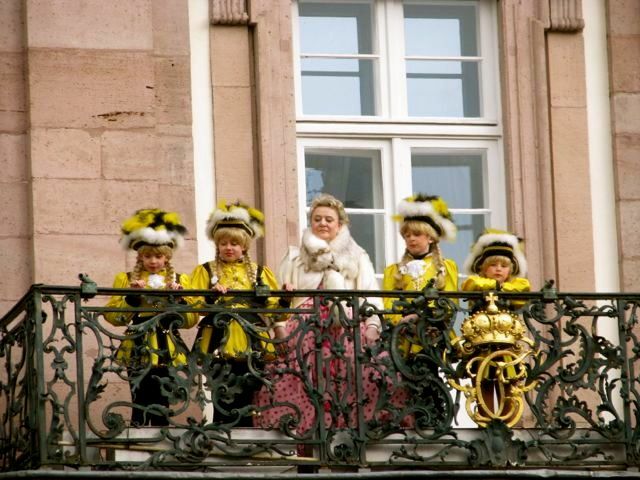 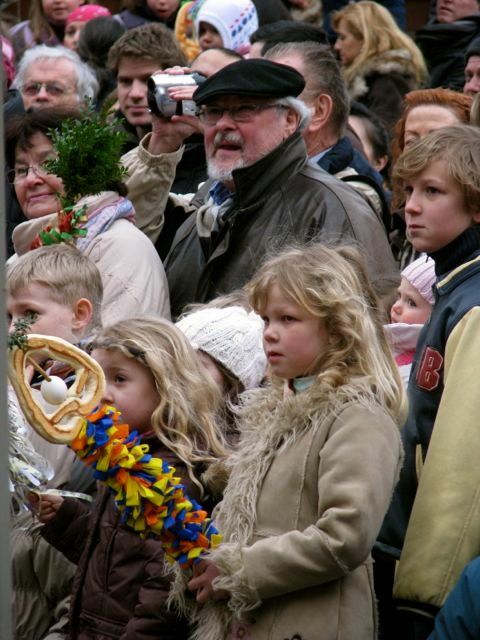 A woman depicting Liselotte (a German princess who promoted traditions such as the Sommertagsfest) watches the procession. 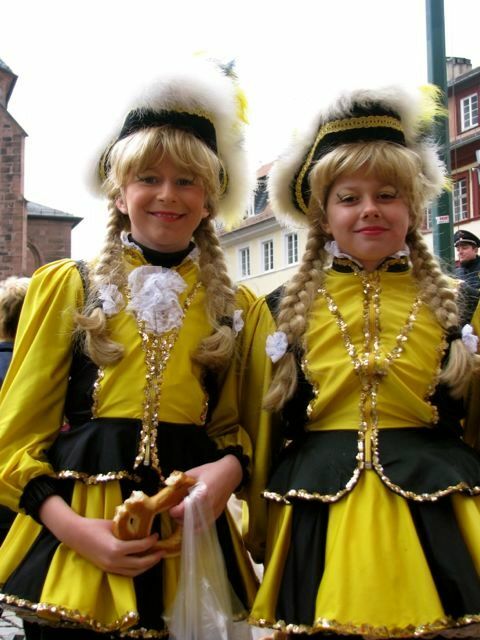 Liselotte was the sister-in-law of Louis XIV. 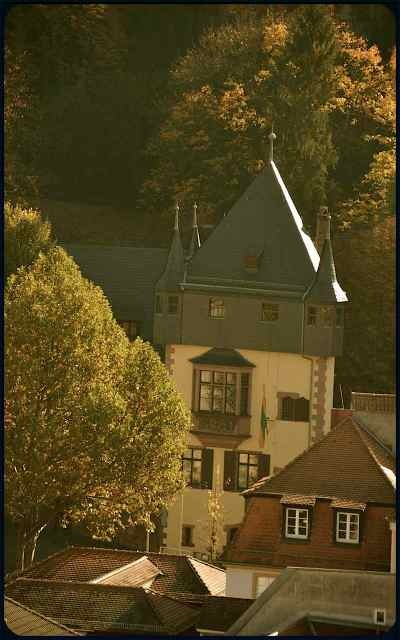 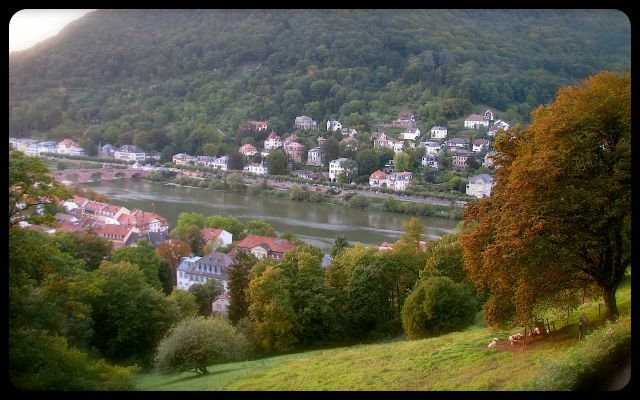 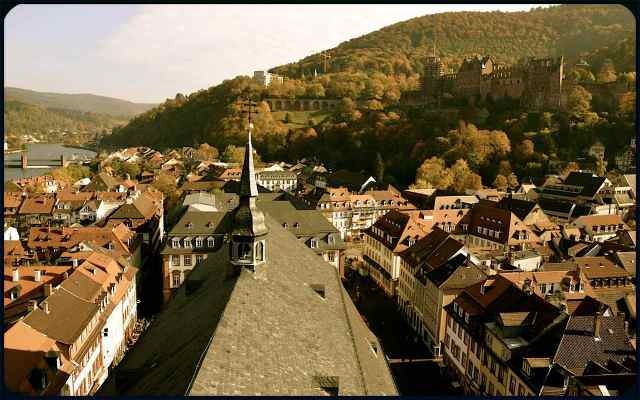 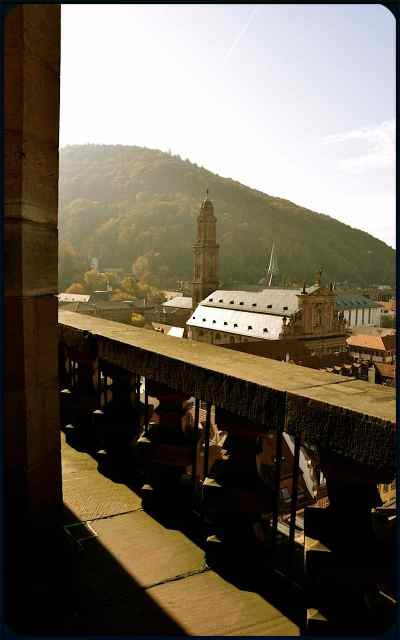 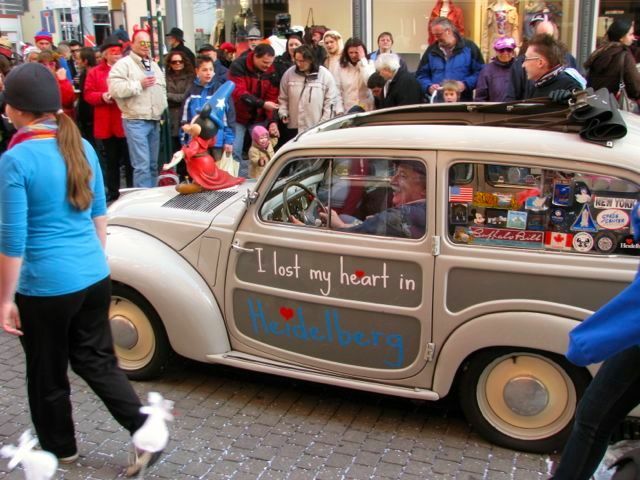 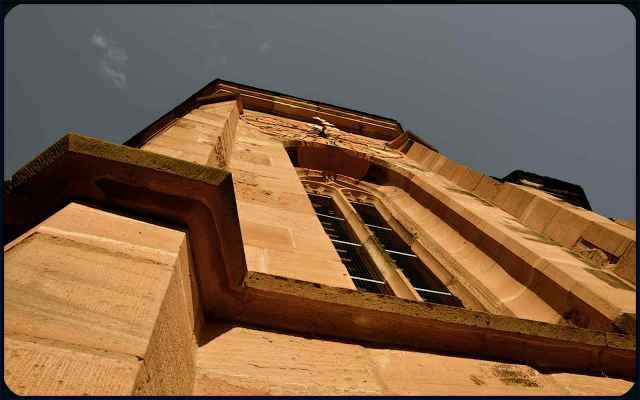 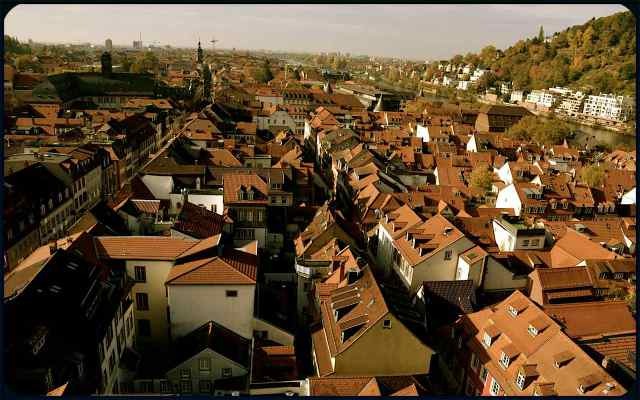 For more details about Heidelberg’s calendar of events, visit the Official Website of the City of Heidelberg. 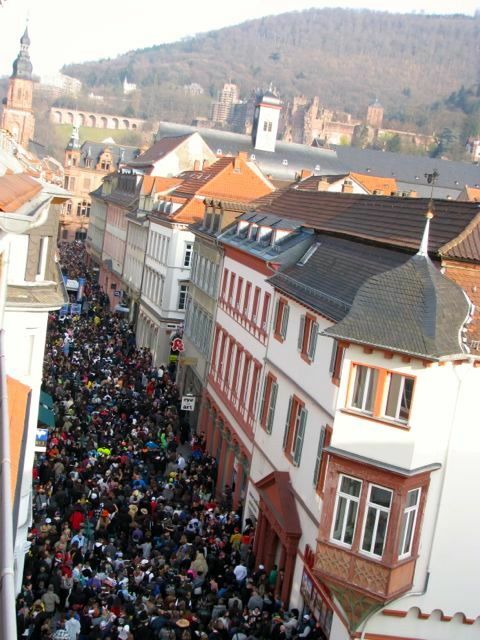 For the ten years I called picturesque Heidelberg, Germany home, I was lucky to have a bird’s eye view when Fasching festivities took the university town by storm, as I’m sure they did today. 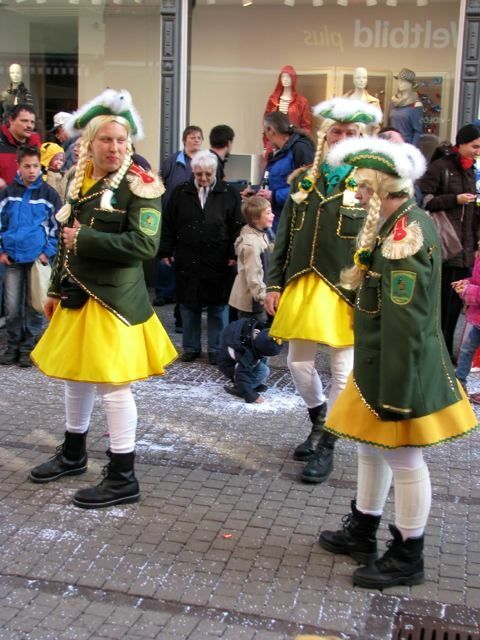 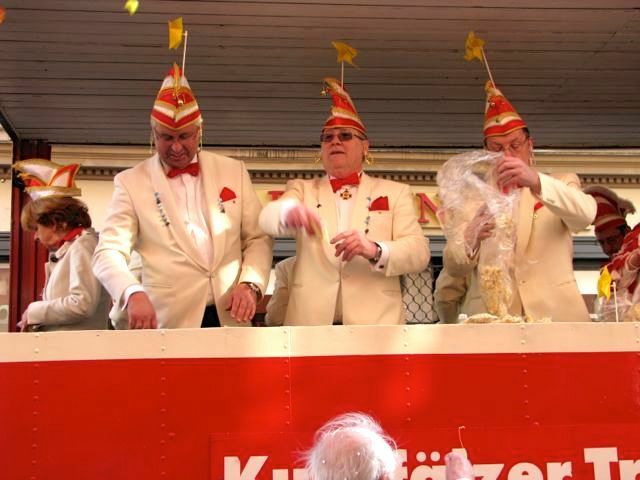 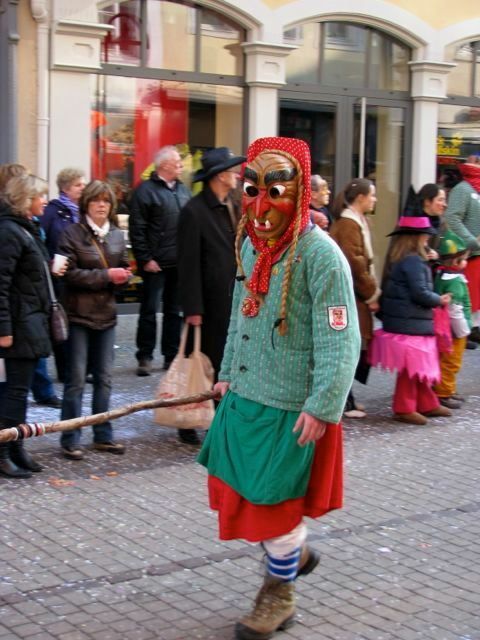 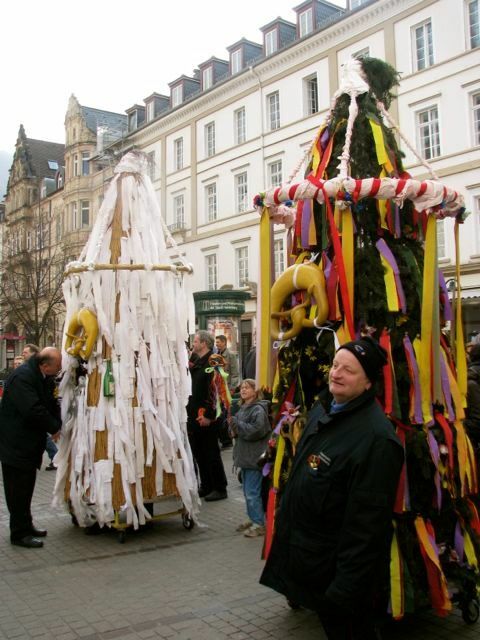 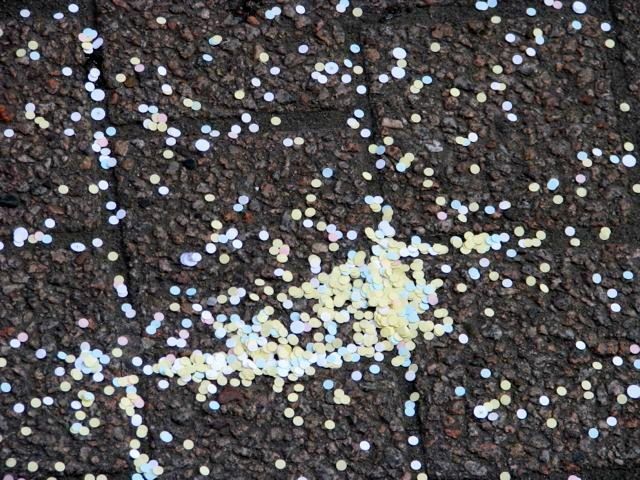 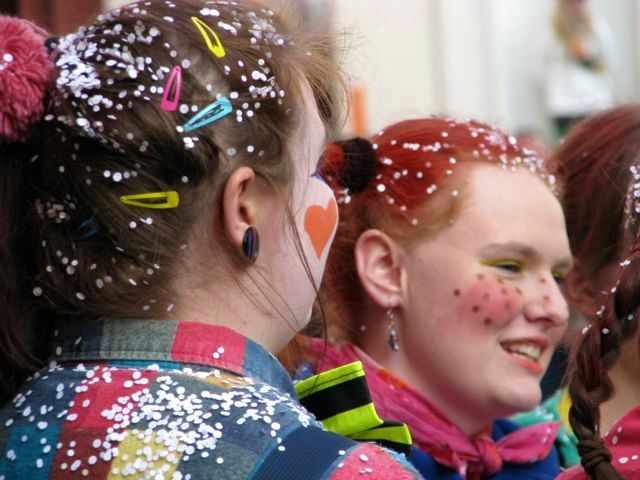 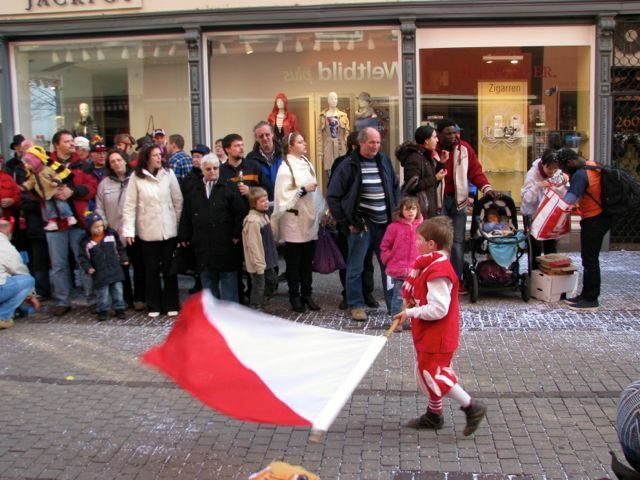 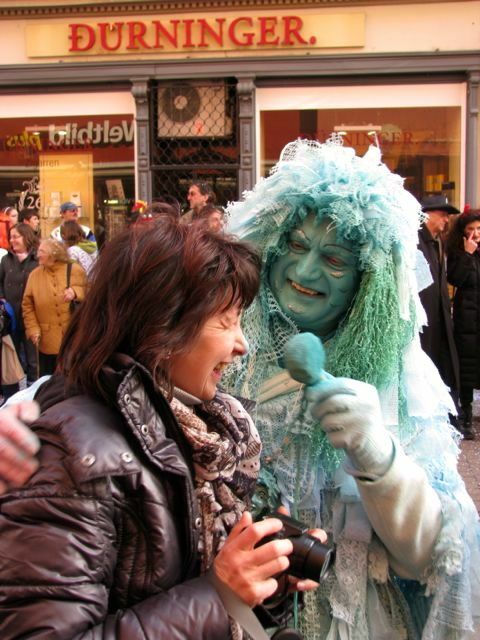 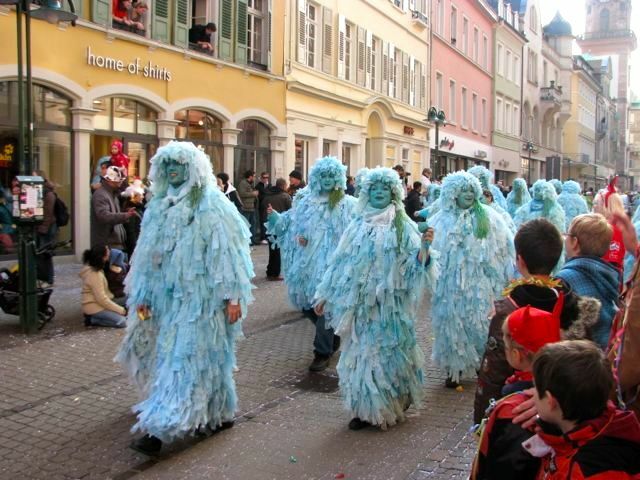 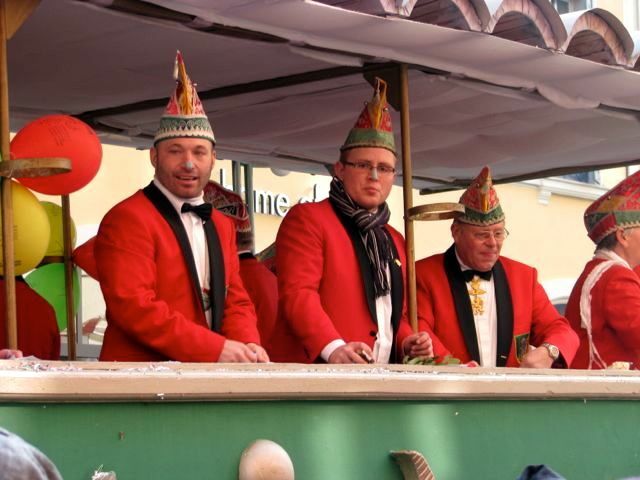 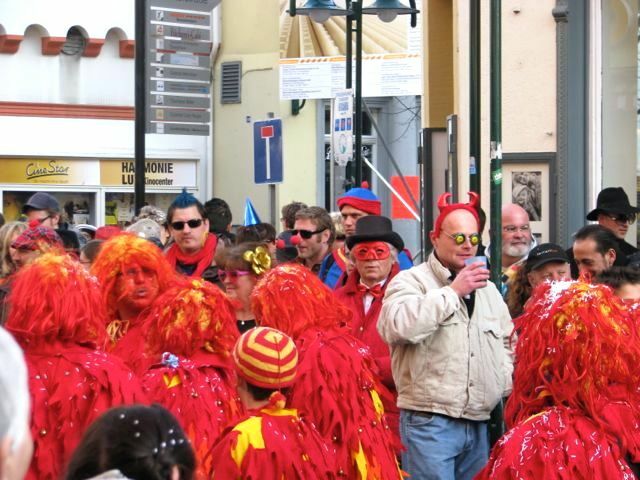 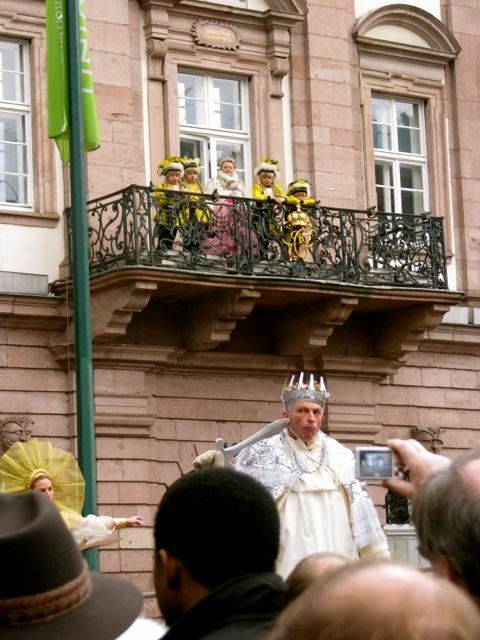 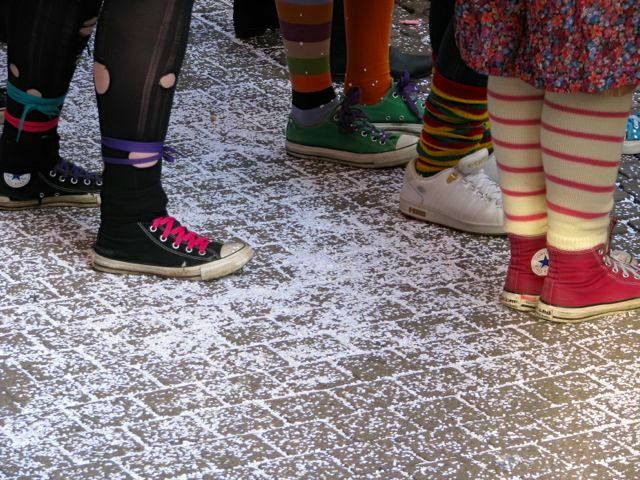 Fasching, Germany’s equivalent to Mardi Gras or Carnaval, includes pre-Lenten activities celebrated between Epiphany and Ash Wednesday. 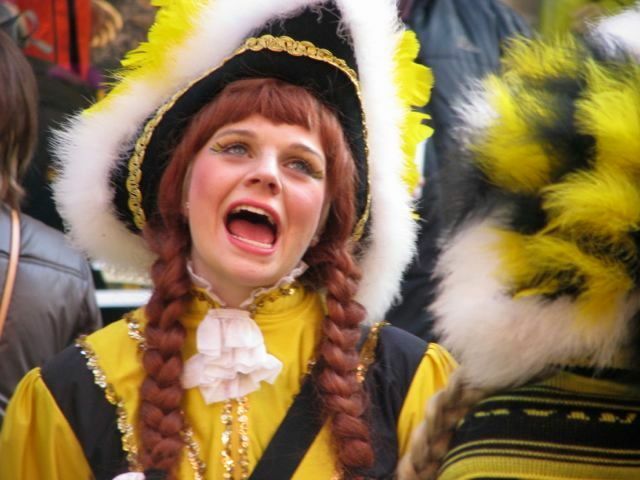 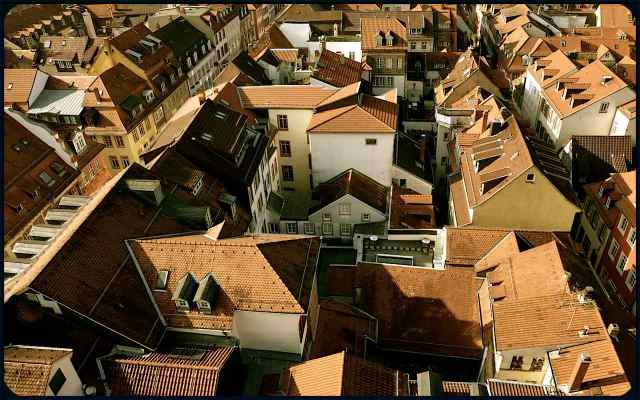 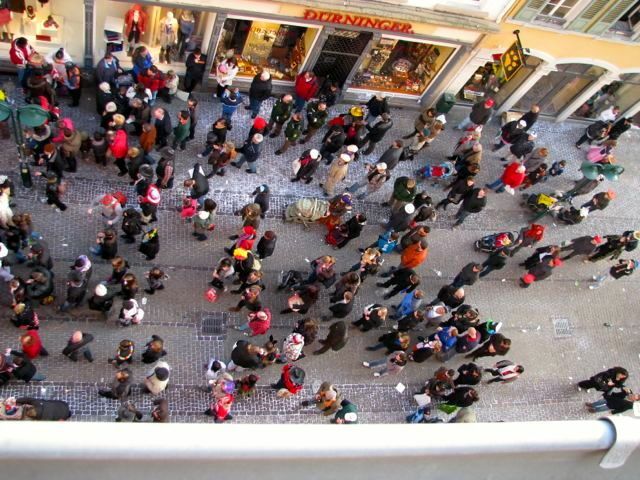 My former apartment, housed on the fifth floor of an 18th-century building, offered the perfect spot to glimpse the crazy characters and floats as they passed by during the city’s annual Fasching parade. 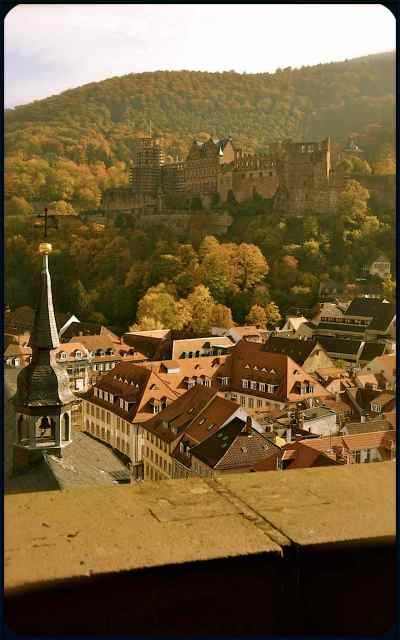 Two lovely and talented photographers nominated me to submit entries into the Capture the Colour Contest whose entries have been sweeping the world. 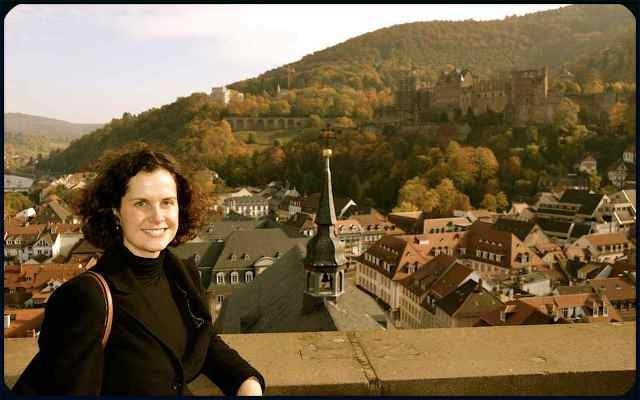 Thank you, Marina Chetner, and Vielen Dank, Cornelia Weber for your nominations. 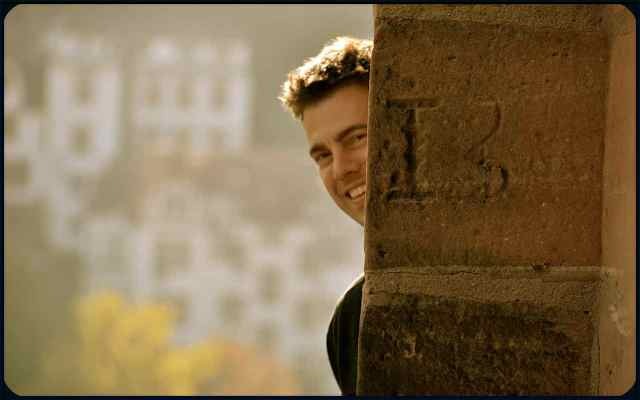 I’m honored and flattered! 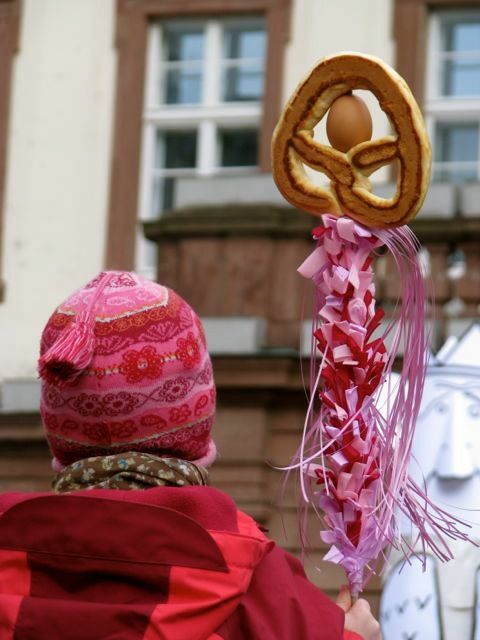 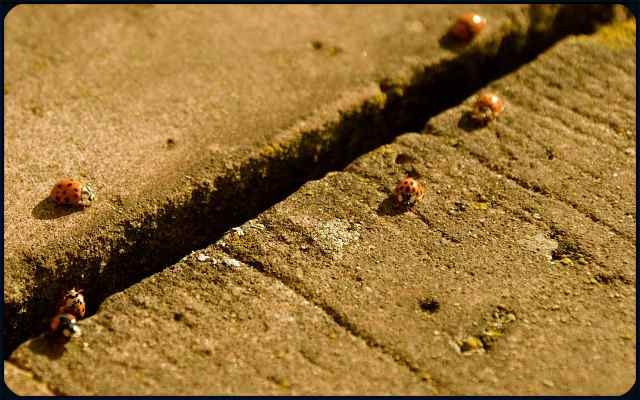 Readers, I encourage you to check out these creative ladies’ websites: Marina Chetner: Be Inspired Through Travel & Bikram Yoga Musings & Cornelia Weber Photography.